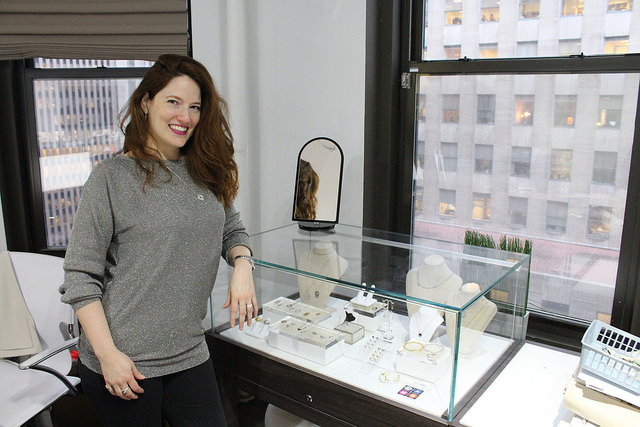 It was a rainy Monday morning in New York City, and Julie Lamb was on a roll, hopping from one appointment to another in midtown Manhattan’s diamond district, meeting jewelry setters and stone suppliers for her eponymous accessories line. For her, bad weather can stop her business. Not at that time, or any day in the near future. Not now when finally, she is building a name for herself in New York City, and hopefully, the rest of the world, too. For many designers, New York City is seen as a boot camp for a career in fashion. While it’s competitive and expensive, designers like Lamb opted to professionally stay in the city for two main benefits: connections (fashion retailers and press) and accessibility (the suppliers and labor that can be utilized and outsourced in the garment and diamond districts). It’s been two years since Lamb ventured into entrepreneurship. A decade ago, her younger self would have balked at the idea of being a businesswoman, considering math isn’t her best suit. She was a creative, and she appreciated the corporate stability offered by employers like Nine West jewelry and Avon. In 2014, Lamb launched her own jewelry brand, consisting of a lineup of accessories made with gold, silver, and diamonds, with a cutesy sheep pendant or engraving as a signature. For Lamb’s friend Kia Felty, the designer’s strength lies in her fun approach to fine jewelry. 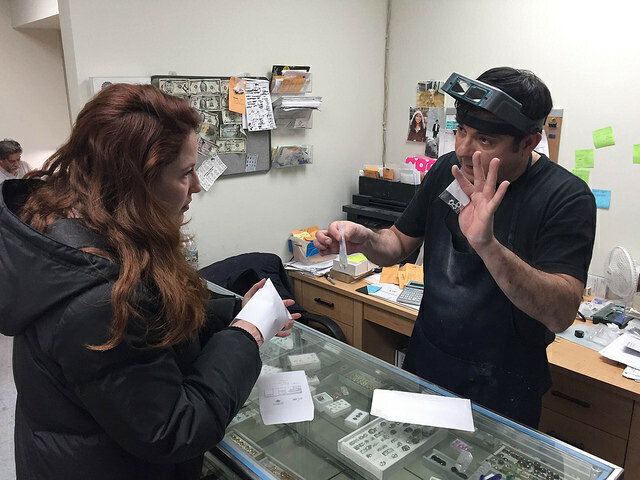 The brand has been warmly received by both jewelry insiders and press, although for Lamb, it’s just one facet of what makes a success story in New York City. In an ephemeral industry like fashion, Lamb learned that designers should keep an open mind—and a keen foresight—in the city that never sleeps. It also helps to be alert in social media. In Lamb’s case, you never know who is going to come around to even expand your horizons outside New York City. To be exact, Lamb has been virtually acquainted with jeweler Andrea Riso, one of the retail brains behind Talisman Collection, a gallery concept store based in El Dorado Hills, CA. After a year of liking and casually leaving comments on each other’s posts on social media, Lamb sent Riso a formal message about what her jewelry line is about. Riso then reverted back, saying that she’s interested to work out a deal with Lamb.